Art is an expression of our thoughts,emotions and desires.Its about sharing the way we experience the world. In Tribune Model School,we empower our students with their powerful medium of expression. A carefully designed curriculum ensures that the students not only learn basics of Art and Craft but are able to express themselves freely. Renowned artists are invited as resource person for workshops in our school.These workshops help create interest in students to learn a new technique or medium in Art and enhance their creativity by listening to artists experiences. 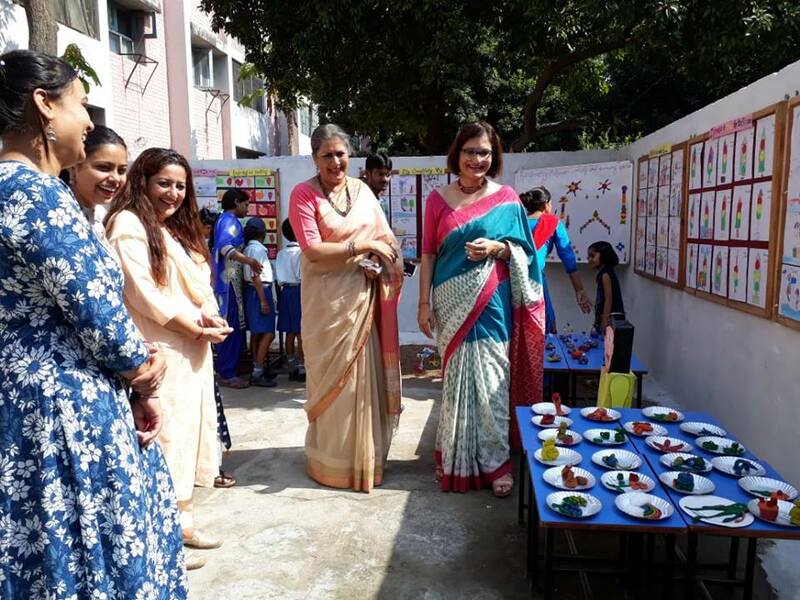 Kindergarten section of the Tribune Model School organized an art exhibition displaying an amalgamation of various material manipulations and learning of concepts during their classes. The art exhibition where colours came alive was inaugurated by Ms. Inderjeet Grewal, Head of Kindergarten, Yadavindra Public School, Mohali. Class Nursery played with grains to create animals and adorned their courtyards with different means of transport. The family photo frames and portraits of grandparents created by class L.K.G. depicted the bond of love and care. Their affection towards animals was reflected in the animal figures created by them using waste boxes. The display was put together to present the experiments and experiences of the toddlers with different mediums of art. Clay modeling articles created by the little ones were a blend of enhanced fine motor skills and fostered creativity. Class U.K.G. came alive with exciting cartoon figures prepared by them using waste cardboard boxes, models of animal farms and beautiful paper weights. The self expression of the children was portrayed well in their coloured sketches. Tribune Model School marked the beginning of the summer break with a blend of colours during the workshop on 3D Neon Mandla Art. 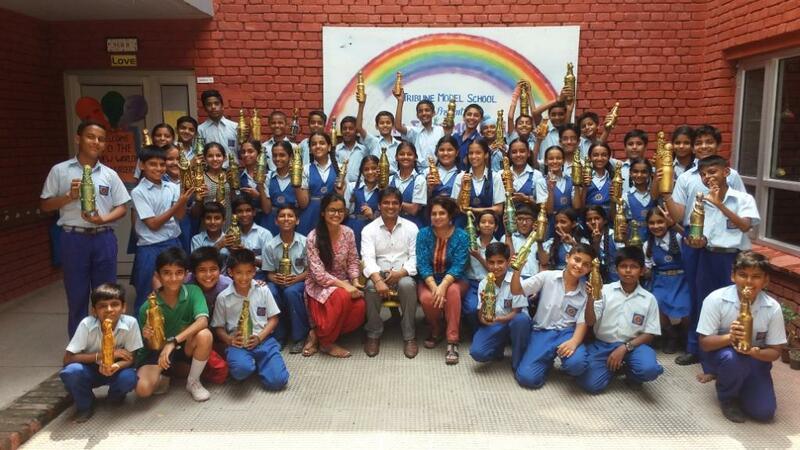 The Resource Person Mr. Rakesh Sen & Ms. Shashi Guleria guided all the teachers to create wonderful pieces of art. 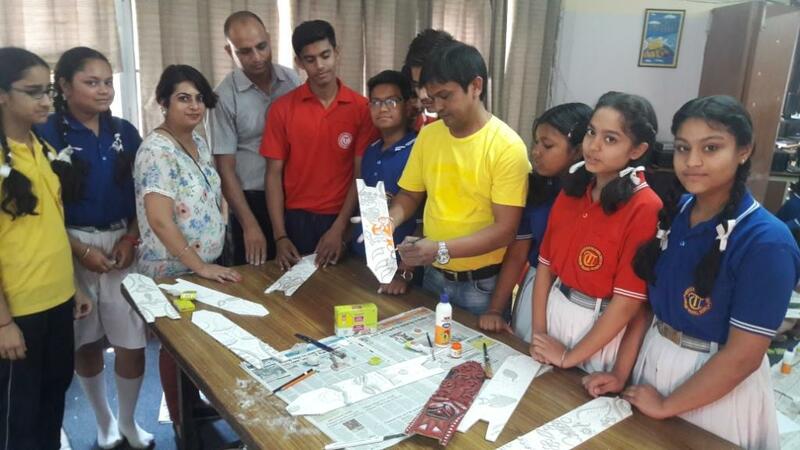 Art Workshop on "Terracotta Mural Art"
The Art Department of the Tribune Model School organised a one day Art Workshop for the students of class VII. Mr. Rakesh Sen, an artist from Pidilite Industries Ltd. was the resource person who shared his expertise in Terracotta Mural art. Students used folk patterns to design terracotta tiles and enjoyed learning new technique. The resource person was appreciative of the creative energy around, gave inputs into each artists work to help express their own imagination. All the works done during this workshop will be displayed during School Annual Exhibition. 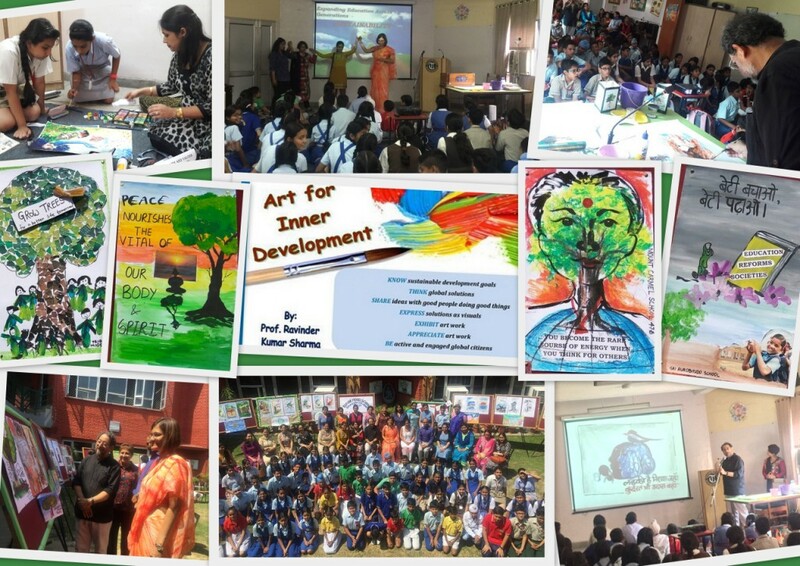 The Fine Arts Department of TMS organized a workshop on " Art for Inner Development" , a journey from words to visuals. The objective of the workshop was to know about Sustainable development goals, Think global solutions, Share ideas with good people doing good things, Expressing our solutions as visuals, Exhibiting art work and Appreciating each other's work and To be active and engaged global citizens. A drawing competition was organised by Aaj Samaj on the theme "Independence Day" on Aug 13, 2016.There were three age groups for children from Age 5 yrs to 12 yrs.Om Pushpakar of Class IV A won 3rd prize. 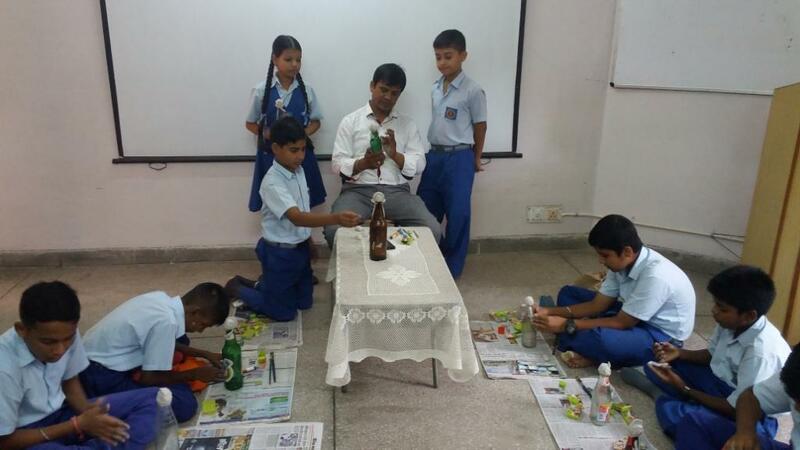 A one day Bottle Sculpture Workshop for the students of Class VI and VII.Mr.Rakesh Sen from Pidilite Industries Ltd. taught the art of decorating and moulding waste bottles into beautiful antique figures.Students showcased their creativity and made dancing figures,tribal figures etc. A Poster Making Competition was organised at Garhwal Bhawan,Sector 29 by Uttrakhand Jan Chetna Manch. Anish Benjwal of Class IX participated and won first prize. 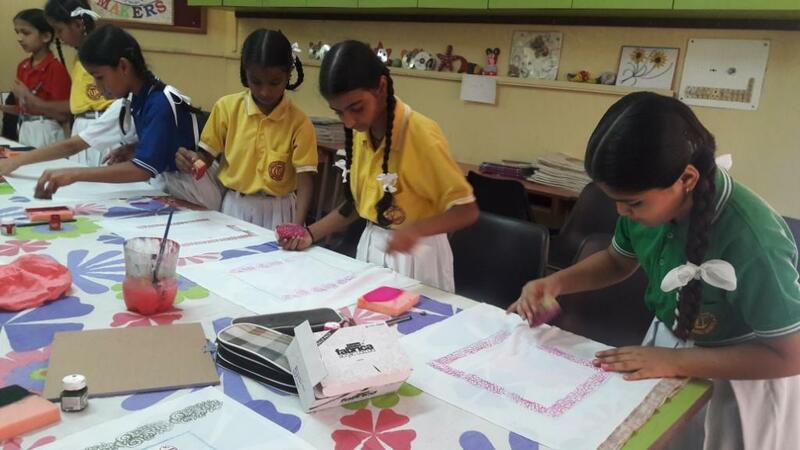 An atmosphere filled with creativity could be seen in the one day Block Printing Workshop organised and conducted by the Fine Art Department of TMS. 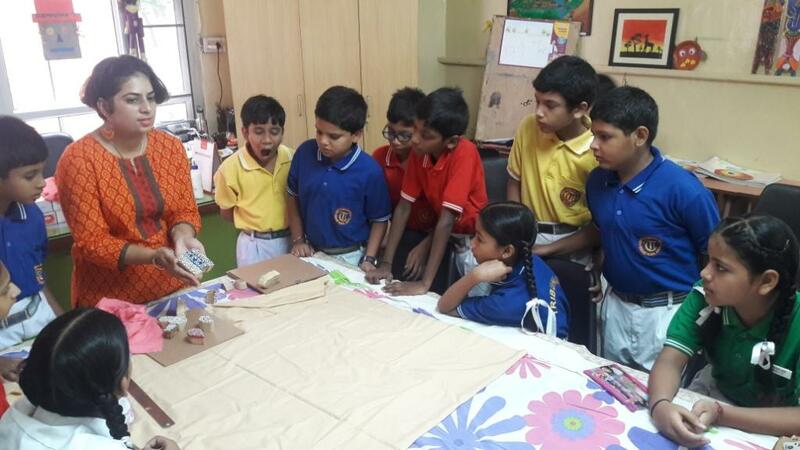 Ms. Amanpreet Kaur guided the students about the age old techniques and process of Block Printing.The students of Class V came up with wonderful ideas and created cushion covers using this technique. 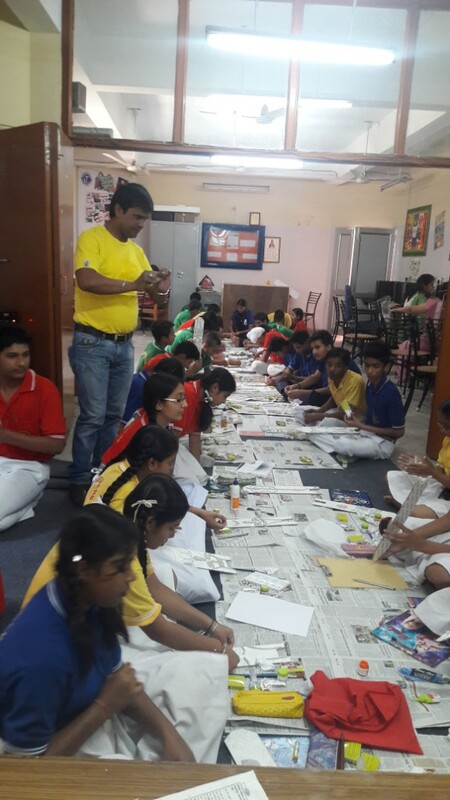 The Art Department organised a one day special workshop on the art of making and decorating masks.Students of Class X participated in the workshop.It was conducted by Mr.Rakesh Sen,an internationally acclaimed artist in the field of art from Pidilite Industries Ltd. Ms.Amanpreet and Mr.Anil Kumar from the Art Department helped the students learn the nuances of mask making from Mr. Rakesh Sen.The students came up with wonderful ideas and created masks using canvas board and shilpkar. 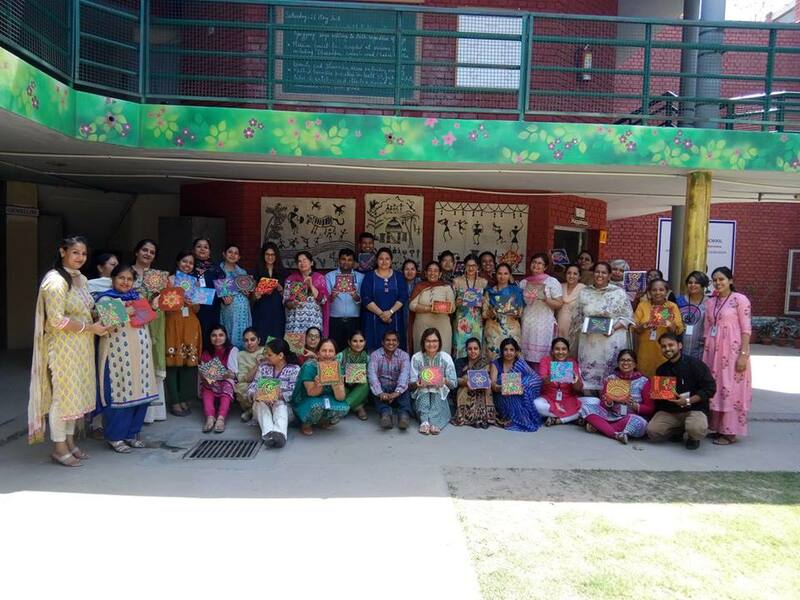 The main objective of this workshop was to decorate the classrooms and new attendance registers before the new session begins.Samples were shown and various techniques were shared with the teachers.Technique of cutting symmetrical patterns like butterfly and flower were also demonstrated.Soft board decoration ideas were also given with the help of slides.